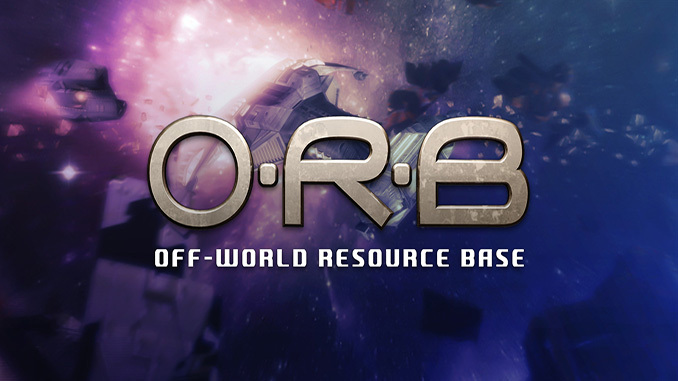 O.R.B., the acronym for Off-World Resource Base, is a real-time strategy game that involves the desperate struggle between the forces of two planets for control of the Aldus solar system. You command the military forces of both the Malus and the Alyssians – two radically different races with fundamentally different cultures and motives. 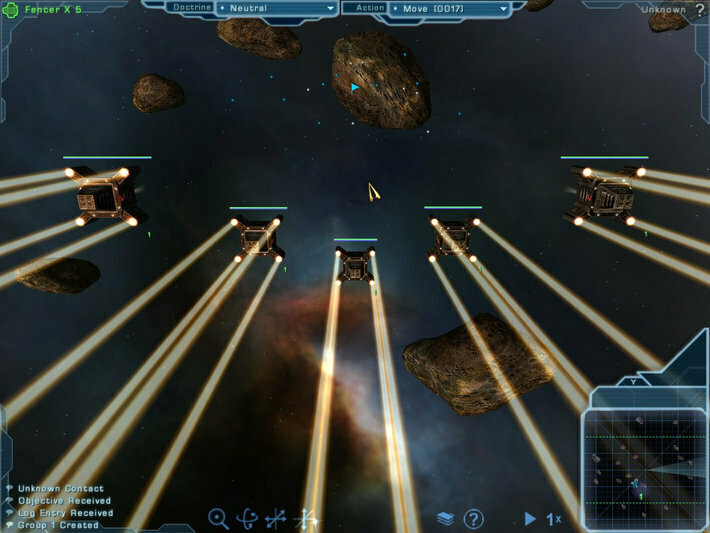 Extract resources from asteroid belts throughout several systems to expand and build upon your fleet. Research new technologies to upgrade the capabilities of your existing ships and test your enemies by building new prototypes. 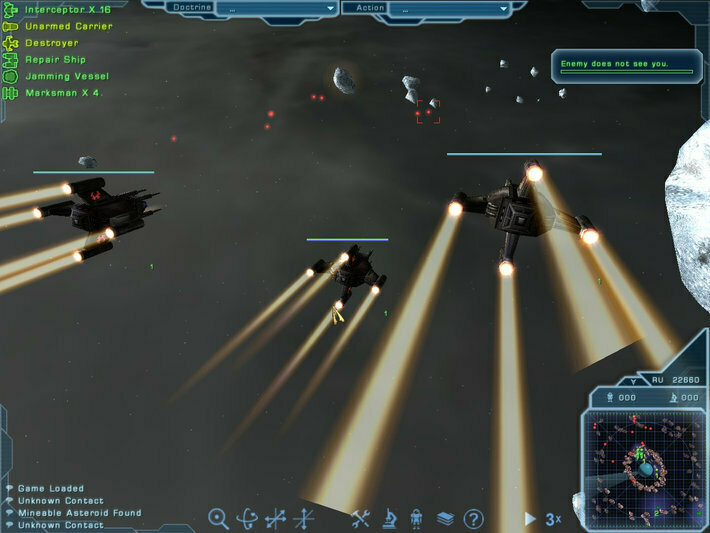 Capture enemy ships and steal their technology to open up new research branches. – Two fully developed races with their own campaigns, strategies, and technologies. – Includes a campaign editor along with all the tools you need to script your own scenarios and campaigns. 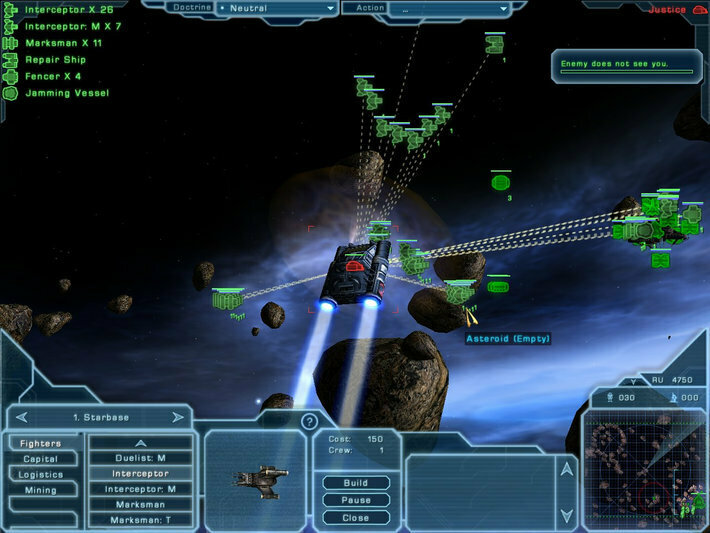 – Epic fleet combat with a plethora of vessels and specialized units such as: Duelist, Interceptor, Marksman, Destroyer, and Assault Carrier. The Malus are a product of their planet’s harsh environment. Scarce water, extremely high temperatures, and a volatile climate forged a stout and rigidly disciplined culture based on strength and triumph over adversity. They have come to see themselves as the rightful rulers of the cosmos. The Alyssians are an independent, self-sufficient and fatalistic race, who forsook their individualism for the greater good. I’ve been looking for this game for over a decade. Thank you so much! can you get the latest version of System Shock enhanced edition? its the one that gog and steam got that completely revamps the previous enhanced edition with customizable controls, better graphics, better resolutions etc. Any chance we get Deep Sky Derelicts? BROTHERS IN ARMS please !